In response to the many requests we have received for food preparation we are creating a Real Food Program. 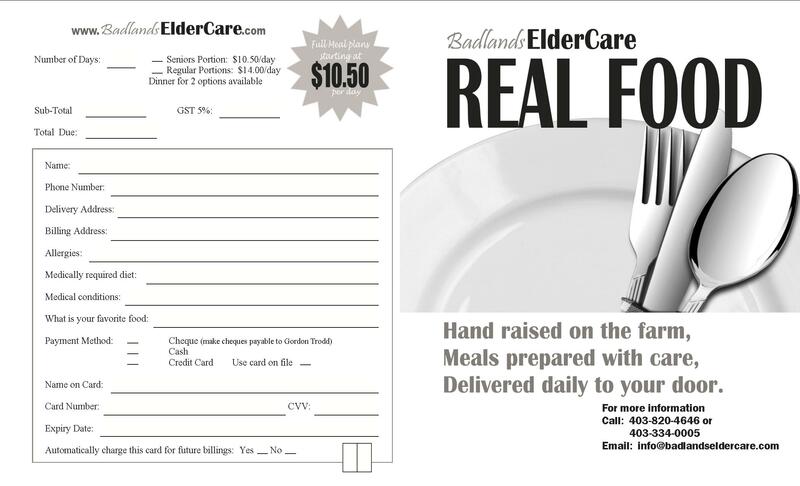 Daily food delivery on a budget seniors can manage. As much as possible we will provide fresh food directly from the farm, meals prepared with care to create a quality experience for our clients. Our menu is being designed by a nutritionist, a chef and a farmer to create a senior specific menu not only meals that are nutritious but also delicious.